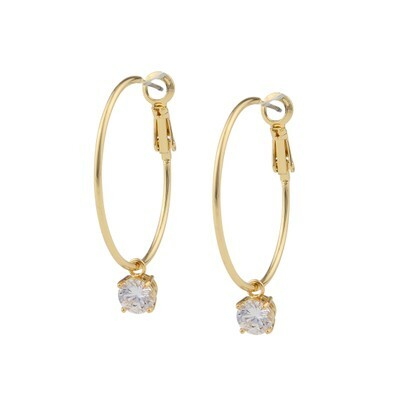 Duo Round Earring in gold/clear. One of the most beautiful creol earrings we have seen. A gold ring combined with a hanging jewel for that little extra sparkle. Perfect match with Duo pendant necklace.